Summer isn't over yet, but we're already in mid-August and the first day of school is Thursday. You can "Keep calm, and carry on" or "Panic now, and freak out," whichever is your personal preference, but clearly, autumn is waiting in the wings. Asters and goldenrod are beginning to bloom, colorful mums have appeared in garden centers, and I've occasionally had to duck and cover as black walnuts, encased in hard green husks, fall to earth with heavy thuds. I've already made plans for fall planting. At the top of my list is a big, blowsy collection of large-flowering Darwin tulips in a riotous color mix of reds, yellows, pinks, whites and oranges. In a new area in the backyard, I'm going to tuck in a parrot tulip blend with solids and stripes. Other bulbs on the things-to-plant list include pink- and yellow-cupped daffodils and lots of pink tulips. Nothing is prettier than a splash of pink in the spring garden. The Beyond Pink TEAM agrees. The non-profit program of the Cedar Valley Cancer Committee, is selling pink tulip bulbs to increase breast cancer awareness. The TEAM's fifth annual "Plant it Pink: Hope Blooms for Breast cancer" campaign ends Friday. 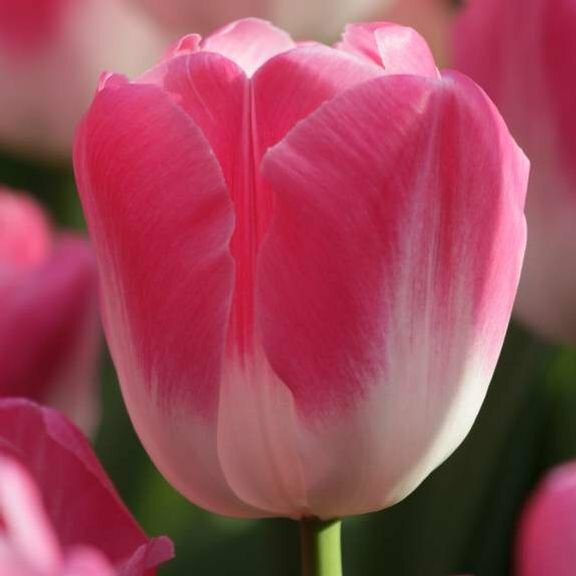 This year, the committee is offering two pink tulips, "Angelique" and "Innuendo." "Angelique" blooms are pale rose with darker rose flushes and pale creamy pink edges, and resembles a peony when fully opened. It's a mid- to late-season bloomer and has a faint fragrance. 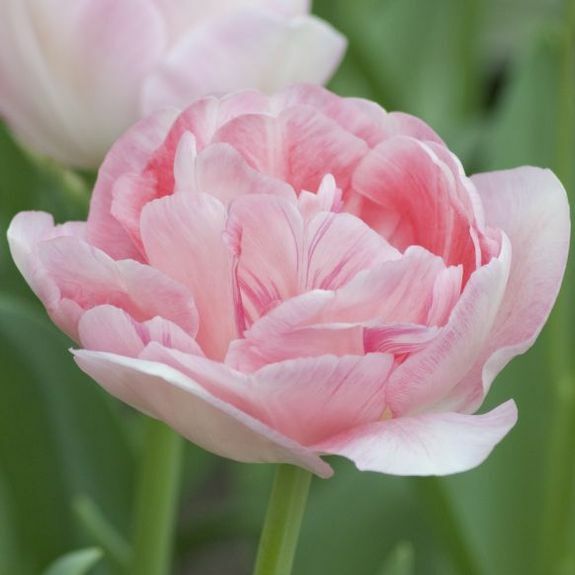 "Innuendo" blooms in mid-spring and is a Triumph tulip. The new bi-color variety produces large flowers that are whisper-pink at the base and raspberry or magenta on the top and edges, along with blue-green foliage. Like most Triumphs, it has a strong, sturdy stem. The TEAM's goal is to see the whole Cedar Valley in the pink for spring, and there's time until Friday to place your order. Flower bulbs are $10 for a dozen; $40 for 50 bulbs and $75 for 100 bulbs. Order forms can be downloaded at www.cedarvalleybreastcancer.org. For more information, call Nancy McHone at 272-2841. Bulbs can be picked up Oct. 6 from 8 to 10 a.m. at the Covenant Cancer Treatment Center, 200 E. Ridgeway Ave. October is Breast Cancer Awareness Month. All proceeds from the bulb sales stay in the Cedar Valley and are used to provide financial assistance to women with breast cancer, as well as other projects of the Beyond Pink TEAM.